Save the date January 17, 2015 for the opening of the “Roots: Him Mark Lai Family History Project” exhibit in the Yick Gallery. 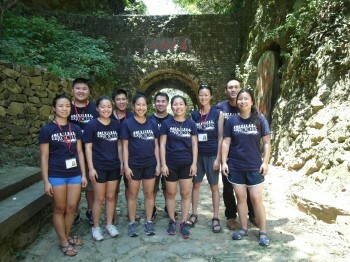 Every year a cohort of young Chinese Americans are brought together to delve into their ancestry in the Pearl River Delta of southern China. This exhibit showcases the often intense and personal journey of identity each intern goes through. Please join the ten interns of the 2014 cohort as they present their Roots to you.